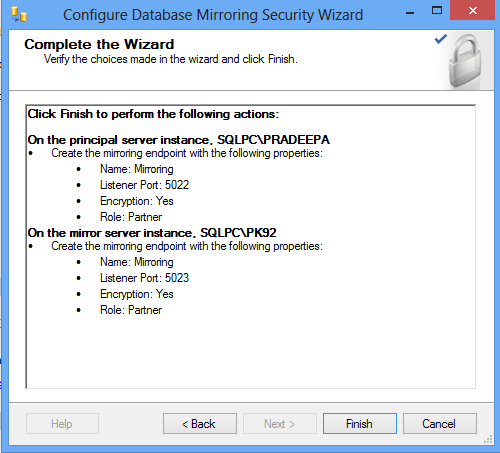 What is database mirroring and How to create database mirroring? 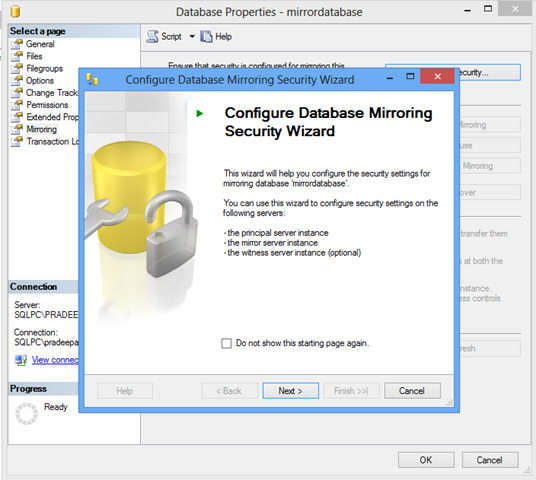 Database Mirroring can be implemented only on databases,that use the full recovery model. 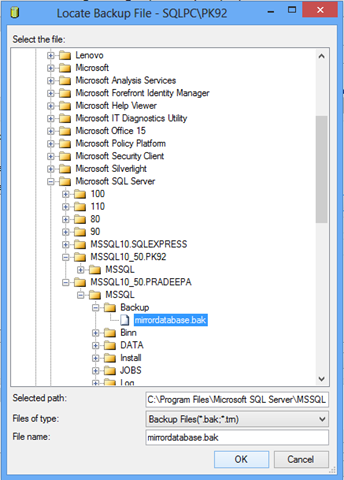 The simple and bulk-logged recovery models do not support database mirroring. 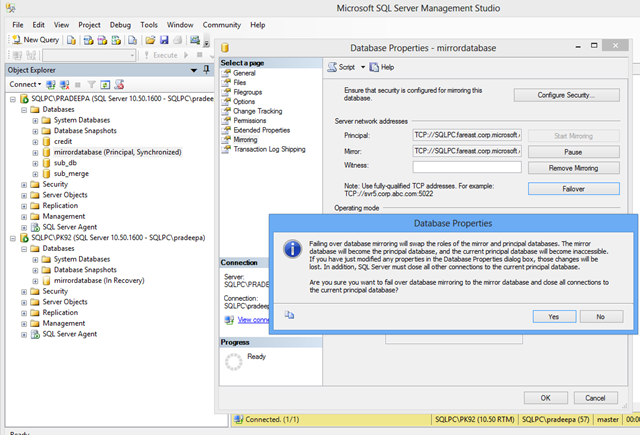 Database mirroring maintains two copies of a single database that must reside on different server instances of SQL Server Database Engine. There are two mirroring operating modes. 1.High-safety mode:Commit changes at the principal and then transfer them to the mirror.It is asynchronous. 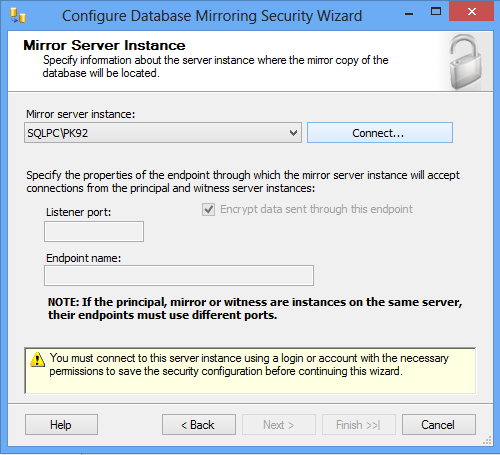 All database mirroring sessions support only one principal server and one mirror server. 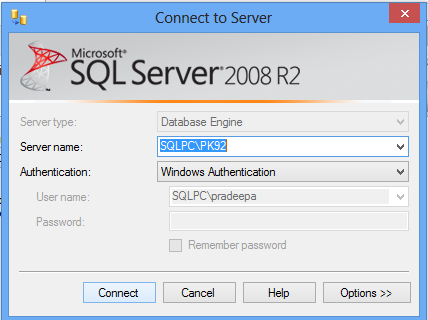 I have two instances SQLPC\PRADEEPA which will act as principal server and SQLPC\PK92 will act as mirrored server. 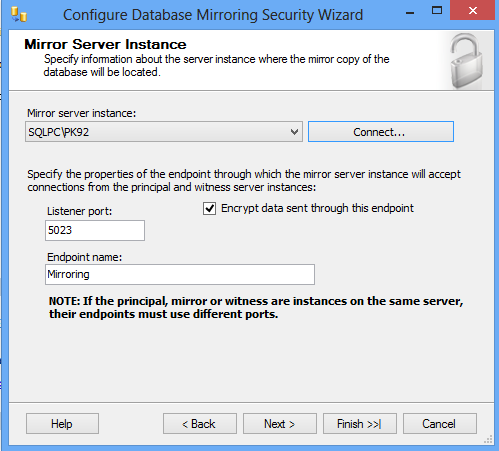 I have created database named “Mirrordatabase” for which we are going to start mirroring. 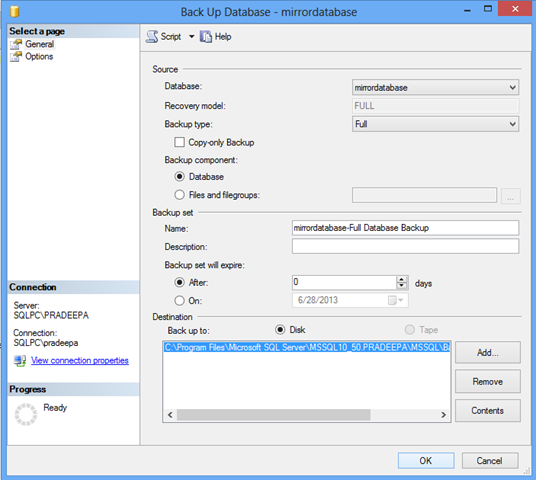 Create a backup for the Mirrordatabase in the principal server. 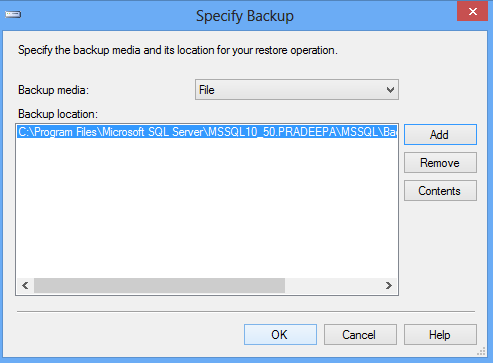 Set the backup type in full recovery mode.Select back up destination as disk.Select add to add the destination folder. 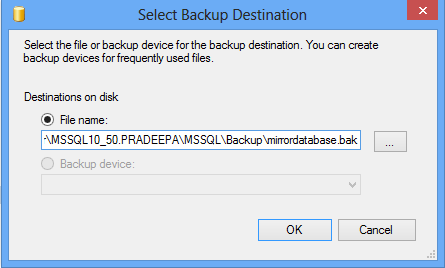 In destination,add the destination folder with .bak extension and click ok.
Click ok and complete the backup. 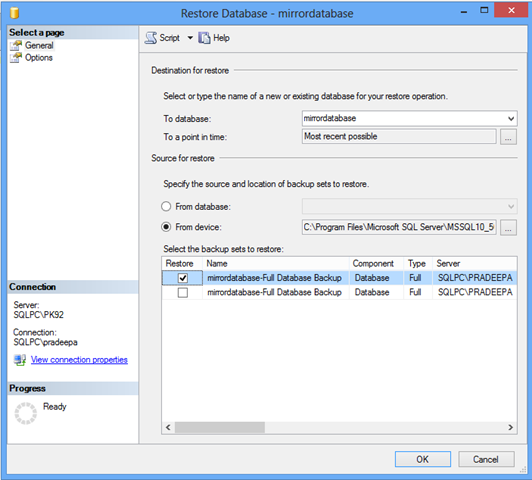 Now restore the backup of the database in mirrored server (destination server) with same name. Type the name of the database and restore the database from device. 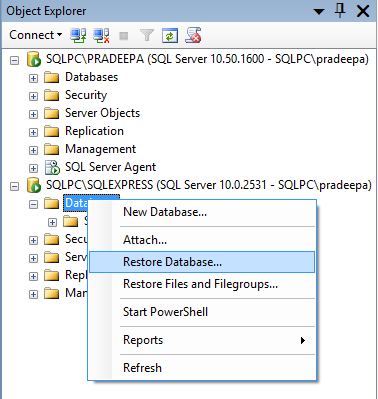 Select the backup file and click ok.
Now backup location is added.click ok and continue. 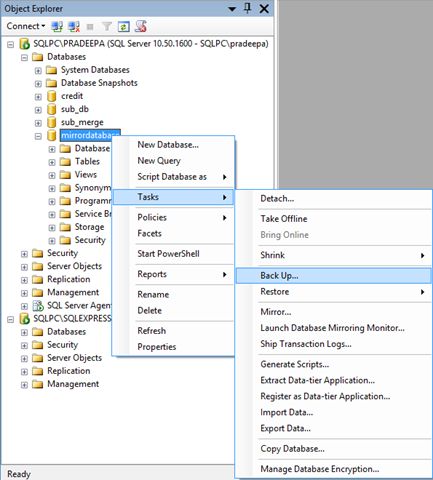 Select the backup sets to restore.Then click Options from select a page. 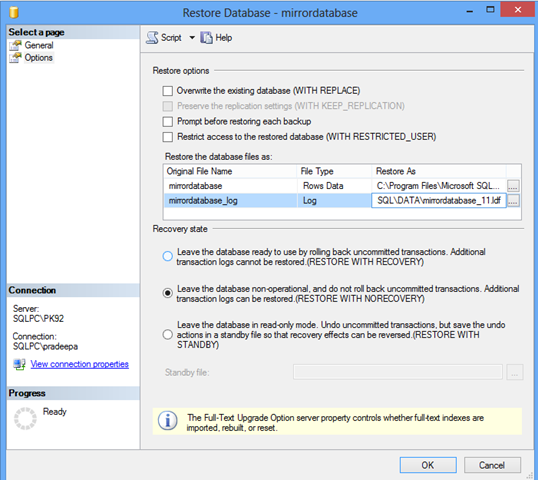 Select the recovery state as RESTORE WITH NORECOVERY.Also change the restore file name in restore as if you are creating mirror on same server for testing.Click ok.
Configure mirroring in primary database by selecting properties. 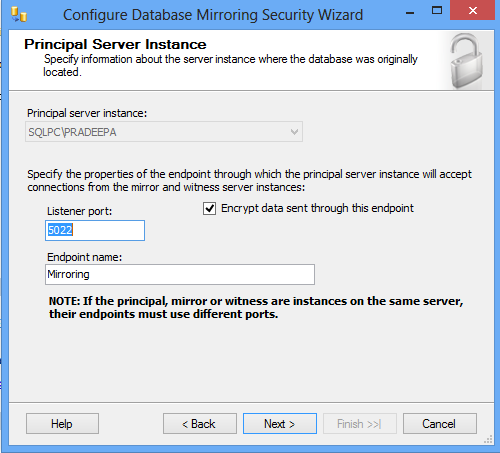 In Database properties window select mirroring and configure it. 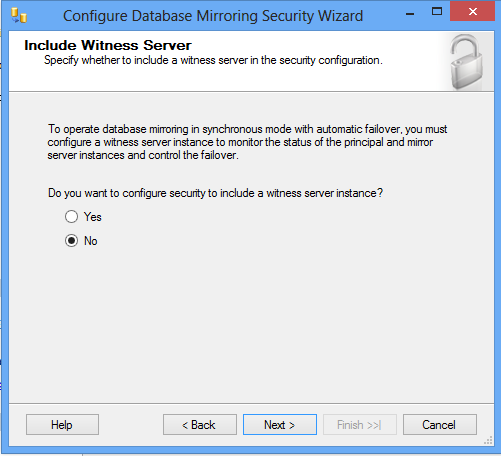 Here we dont have witness server.But we can include witness server instance also.Click Next. 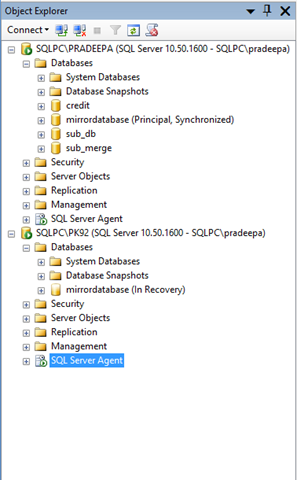 Specify principal server instance,listener port and endpoint name.Click Next. Service accounts could be created in this window. Click Finish and complete the wizard. 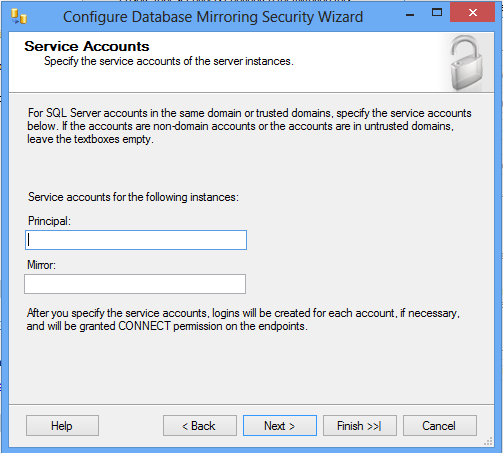 Close the window after configuring database mirroring. 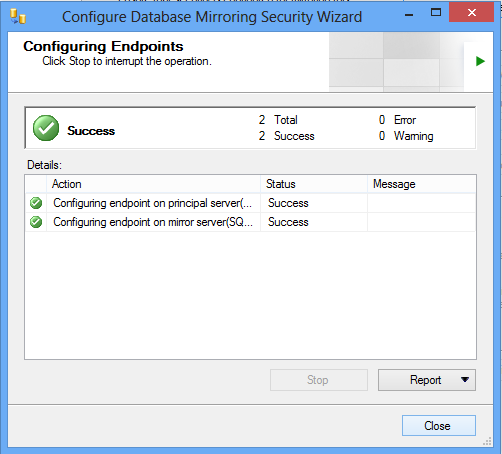 Start the mirroring by clicking start mirroring. We could select either High performance mode or High safety mode based upon our application need from below window. 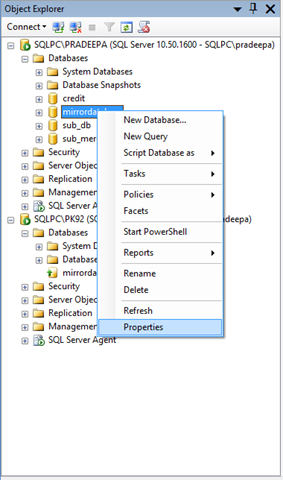 You could perform failover between primary database and mirror database by selecting Failover option in properties window.